Only two years earlier, she had graduated from the Pediatric Nurse Practitioner Program at the University of Washington, becoming one of the first five Pediatric Nurse Practitioners in Washington state. The nurse practitioner role was controversial at that time, to say the least. Many physicians saw it as an encroachment on the practice of medicine. 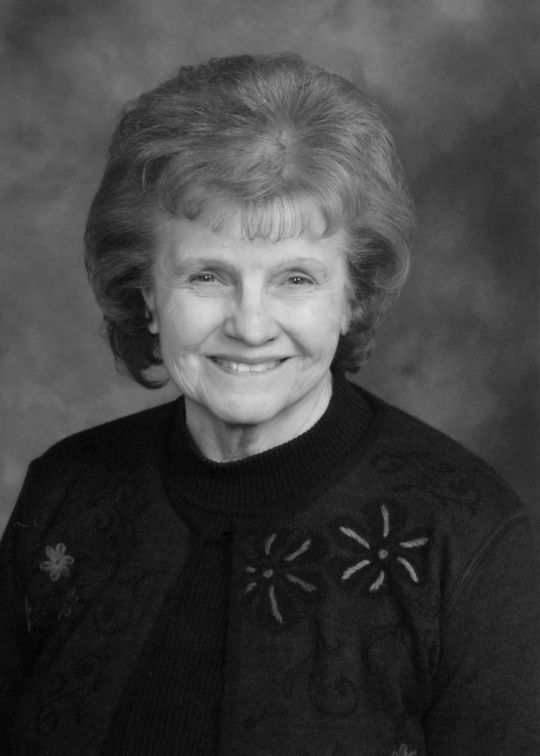 Then, in 1975, Bonnie was appointed co-chair of the Washington State Joint Practice Commission, whose task was to bring together the Washington State Nurses Association and Washington State Medical Association to craft rules for the scope of practice of the nurse practitioner. At the outset, the nurses and the physicians met in separate rooms, but they ultimately came together and reached consensus on proposed rules and regulations for practice. These rules were adopted by the Board of Nursing with no changes, and Washington state was then on its way to becoming one of the most progressive in the nation when it comes to scope of practice for nurse practitioners. Bonnie played a significant role in making that happen, and she considers her work leading the Joint Practice Commission one of the greatest accomplishments of her career. Bonnie has applied her skill and passion to serving children and families in many different ways over the course of her career. She has left her mark on families she has worked with directly as well as on the policies and programs available to support them. Following a brief stint with the Seattle-King County Health Department, in 1959, Bonnie joined the staff at Seattle Children’s Hospital, then known as Children’s Orthopedic Hospital. She worked for five years with high-risk medical and surgical patients and also served as an Assistant Head Nurse. Afterwards, Bonnie worked as a school nurse and in Head Start programs, where she devoted much of her time to screenings, assessments and services for children with special needs. During her first time with the Seattle School District, from 1968 to 1976, Bonnie was selected by the Medical Director and the Manager of Health Services to fill the one slot offered to the entire district for the University of Washington’s new Pediatric Nurse Practitioner program. Around this time, in the 1970s, Bonnie began what became a career-long commitment to service. There isn’t a single year in her long career when Bonnie hasn’t been involved in commission and board work. She has been appointed by five Washington Governors to serve and lead commissions and committees on health care policy for the State. For 12 years, Bonnie served on the State Interagency Coordinating Council for Infants and Toddlers with Disability & their families, the last six years as the Council’s chair. In this position, Bonnie played a fundamental role in advising and assisting DSHS and other state agencies in coordinating, developing and implementing policies dealing with early intervention and services for children with disabilities. In 1980, Bonnie was appointed by President Jimmy Carter to the National Council on Health Planning and Development, which provided health planning for all physical and mental health services for the country. She served for six years, including time as Interim Chair of the Council. In 1978, Bonnie moved to Harborview Medical Center, where she worked for nearly two decades as a Clinical Nurse Specialist and Researcher and as Nurse Manager of the Women’s Clinic. She went on to work as manager of the Providence Children’s Center at Providence General in Everett. She then took her considerable skills to the non-profit world, serving as Vice President for Clinical Services and Operations, Chief Operating Officer, and finally as Executive Director of Seattle Children’s Home. As CEO, Bonnie strengthened the organization’s finances so that they could continue to provide a full spectrum of mental health and developmental services for children and families. The research and program grants Bonnie has secured have brought in more than one million dollars to various programs. To name just a few examples, these grants have supported services for chemically using pregnant and parenting women and their young children; a study of the impact of managed care on children with special health care needs; and a domestic violence grant for homeless youth. Bonnie also served as the director of the Child Abuse Prevention Parenting Program, funded by DSHS and the Washington Council on Child Abuse and Neglect. Thirty years after she left school nursing, Bonnie returned to the Seattle School District in 2006, where she functions within her Nurse Practitioner licensure. Bonnie serves children and families of the Seattle Public Schools through direct nursing services and consultation and evaluation of children with specific barriers to learning. With her wealth of experience, Bonnie also serves as a mentor to new school nurses, particularly in the Special Education assessment process and serving students at risk.Returning to the question Bonnie addressed early in her career: “Role of the Nurse Practitioner, Is She Here to Stay?” Today, it is clear that the answer is a resounding “Yes.” And Bonnie has been a significant part of making that true.